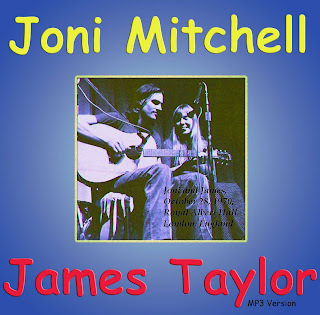 Joni Mitchell and James Taylor - London 1970. This is Joni Mitchell and James Taylor in concert at the Royal Albert Hall, London back on the 28th October 1970. The performance was some two weeks after their collective appearance at the Amchitka Concert on October 16th 1970 in Vancouver, British Columbia, Canada, which was a fund raising concert for what would eventually become GreenPeace. Sound Quality: Excellent stereo mp3@19kbps. Set: Broadcast element plus additional Joni Mitchell gig material. 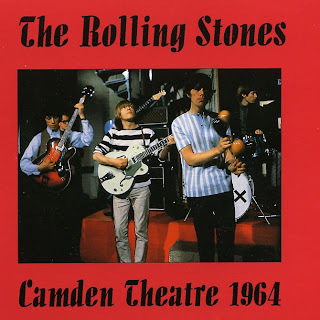 Having recently covered The Rolling Stones BBC sessions from 1963 to 1965, this is another incredible recording from the same era. Recorded live at The Camden Theatre, London, England, on March 19th 1964 and subsequently broadcast on May 9th 1964 on The BBC "Rhythm And Blues" show, bootleg label The Swinging Pig eventually released a CD single (TSP-CDS-004) which from what I can gather was sourced from a soundboard tape rather than any BBC transcription disc recording. Sound Quality: Excellent stereo mp3@320kbps. Genre: Rock, rock and roll, blues-rock, rhythm and blues, blues. Set: Full 'Rhythm And Blues' show set. Nothing to add regarding this recording, The Swinging Pig released another Stones single boot called Chess Chicago outtakes also from 1964, more about that another time.